Virtual reality (VR) – a technological development that we would be more likely to associate with the gaming or entertainment industry than warfare. Yet as VR seems set to become a part of our future, it has already begun to, and seems set to increasingly play a huge role in warfare. Though this may appear positive at first glance, it raises questions over implications for designers at technology companies, far removed from warfare, that their work is now involuntarily involved in this line of work. This article will explore the dilemma between its use in the military and the issues it raises with relation to the designers. It is crucial to acknowledge the beliefs and views of employees at digital companies with little say in the morally questionable applications of their products. 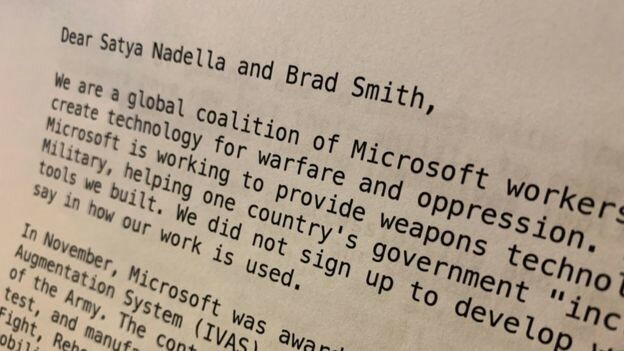 In February, Microsoft workers demanded the cancellation of the company’s $480 million contract with the US military, as employees did not want to become “war profiteers”. Is it morally correct to put employees in a dilemma where they must choose between their employment and ethical principles? Kantian theory stresses that the action itself – not the outcome – is what defines good will. It would therefore go against this principle to force scientists and engineers at Microsoft to abandon their own moral code, regardless of if the outcome benefited the company as a whole. Kant would argue that to force any employees to work on such projects, against their beliefs, would be to use them as a means to a selfish end. We must not forget lessons from history, such as the V-2 programme of Nazi Germany, which left engineers and scientists – ethically opposed to their work – helpless to act upon it. Whilst this example may seem far removed from modern corporations, it serves as a poignant reminder as to what can happen in extreme cases. Furthermore, while employees are normally able to refer back to a company code of conduct, guiding them in their decision making and reassuring them the company is committed to ethical practice. The novelty of VR being applied to warfare means that the codes of conduct are unprepared for this line of work, unable to give employees confidence that their designs will not cause harm. Should we therefore not require the consent of the designer? It is essential to consider the implications on the public when commercial technology crosses with lethal warfare. Unregulated access to AR technology is a slippery slope. The open source nature of much of today’s technology means it’s not hard to contemplate a situation in which civilians can access military style training. In the wrong hands, this then increases the expertise and complexity of violent crime. Countries such as the US, where the public will soon have access to affordable VR technology, are already suffering from high levels of violent crime. Gun crime, in particular, was responsible for 26,819 serious injuries in 2015 alone . In the wrong hands, access to such technology could decrease public safety and police power in preventing crime, at worst directly for increased fatalities. From a Utilitarianism Approach, we can provide the greatest benefit for the greatest number of people by preventing the use of AR technology in warfare. The benefit to the US military would be seen as less important than the safety of the US, and to a greater extent global, public. From a Utilitarian perspective, it could be argued that the consequences of the sale of Hololens technology to the military will benefit more people than those it will disadvantage; Microsoft will benefit economically and the military will benefit as a result of improved quality of military training. Headset technology may soon be considered necessary equipment for protecting our armed forces, improving ‘mobility and situational awareness’. This could include fewer deaths of military personnel and of the public because the military are also involved in anti-terrorism and other public operations. Additionally, approximately 100 workers out of Microsoft’s total workforce signed the letter; this is a small percentage of the total workforce. Since 100 workers cannot be considered a majority, the sale could be considered an ethical action by a utilitarian. Kant would argue that it is the motive behind the sale of the technology that defines whether it is moral, rather than the resultant consequences. Therefore, there is a certain level of ambiguity of the morality of the sale, as we do not definitively know the overriding motives behind it. The motive could be maximising profit or the protection of human life through improved quality of training. Can we really resist technological advances? It is inevitable that the military will use VR technology in the near future, regardless of the supplier. In this case, Microsoft could be seen as the ‘lesser of two evils’ if they offer a more morally justified solution to their competitors. This scenario is comparable to the recent cloning of British and US military drone technology by Chinese companies for supply in the Middle East. The replica drones were distributed to countries which the US had refused to sell to for ethical reasons, meaning the negative consequences were the same regardless of the moral motives of the US Congress. The other argument is that, even if you do not necessarily agree with the use of augmented reality for warfare, military research and development has often led to accelerated and unexpected advances in other industries. For example, it is widely accepted that the development of the modern antibiotics stems from the development of Penicillin into an effective drug during World War II. Had it not been for the atrocities of the war, the development of antibacterial drugs may never have been realised as quickly. The theory of consequentialism would support this view – arguing that initial act of developing VR for warfare is forgiven in favour of the positive consequences. The group is for the sale of VR technology to the military. I think it is important to also consider the impact on the people using the VR device. A fully-immersive VR training simulation may prepare soldiers for warfare better than current training methods. This may mean the military are better prepared, mentally and physically, for warfare. On the other hand, the development of a VR training system would be extremely expensive overall, especially given that private companies will be profiting from it. This begs the question, should the military divert money from other areas to fund the development of this technology? And is the budget large enough to do so? I tend to agree that the, virtually endless, training scenarios offered by modern VR technology means that VR certainly has its place in preparing military personnel for different situations. My concern would be a situation whereby VR almost takes over ‘classic’ training in the field, thereby the boundaries between a simulation and a game become very close. I know when I play a game I don’t approach it with the same caution that I would if it was real life. It is probably a question that we can only answer in the future after witnessing its efficacy or lack of it. The interesting thing is that VR has actually helped to reduce training costs. VR ammunition is a lot cheaper than the real stuff. As military budgets tend to be relatively enormous anyway, it is probably feasible to pay the upfront costs of highly detailed VR systems. I think this is very interesting topic and a great article. I like the point that is made that advances in military technology can sometimes have knock on effects that benefit the rest of society. Consider GPS, which was invented by the US military then opened up to the general public to use free of charge. The ethics of it comes down to how far down the chain of developments one is able to appropriately attribute blame. Should the Wright brothers feel guilty for the Blitz? or Vietnam? Or Hiroshima? Perhaps it is a futile question. Even if they had been ardent pacifists, their invention would still have been used for War. Thanks for your comment, as you mention GPS is a prime example of where new technology was later scaled down for the general population’s benefit. I particularly like your second point. While no one is blaming Microsoft employees for the horrors of war, I can definitely sympathise with those that would rather absolve themselves from an invention that may directly or indirectly be linked to warfare. Thanks very much for an interesting read. I have no backgrounds in these topics and so am very new to the idea of VR use in warfare (or really in any area), but have learnt a lot. -Do any companies already have policies involving use of VR in warfare and the possible ethical implications of its use? -How many companies use VR for the purposes of warfare? -If it is true that uncontrolled use of VR/ AR technology could be a slippery slope… But how can this be regulated? Do the group have ideas on the subject? -Is there any objective evidence of increased success of the military/ their training and decreased use of resources with use of VR/ AR? Has it been tried and tested? -Is it concluded by the group that we cannot resist these technological advances, and that regardless of one company or country’s ethical dilemmas, changes in VR/ AR technology will spread anyway? I think that this article is an interesting read that really covers all of the points related to the issue. It does a good job of addressing both sides equally without bias. I agree with your point that if Microsoft decided not to work on the project that the US military would just find another supplier to develop their product. So the question is asked how should it be limited if so many people think the technology is evil (not in the case of Microsoft). I also found the point that military technology can lead to spikes in certain industries. While there are a lot of ethical issues with how some of these ideas can arise, some of their benefits have been great to the rest of the population. I guess we will have to see where VR takes the world. It’s an interesting point. I think there is an acceptance that at the end of the day we cannot stop certain technologies. 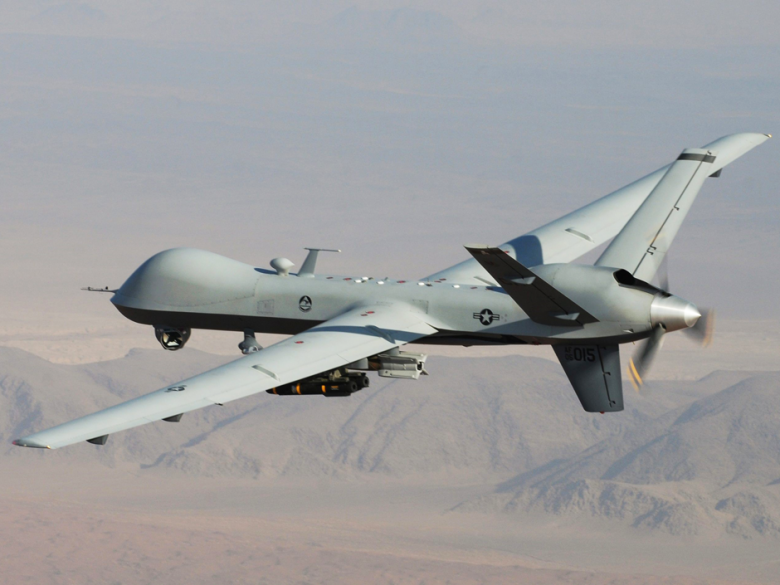 Many people are horrified by the use of drone strikes, but they still exist and seem set to in the future. I suppose our argument is that where designers from companies, distanced from warfare, are caught up in this mess, we should do our upmost to protect their rights. If the military wants to create the technology then so be it, I would summarise our standpoint as so be it but do not force any individual to attach their name to it. The article clearly and concisely makes us think how technology has been used as an historic force for good and evil. It is inevitable that individuals, companies and governments will use VR and other technologies for military purposes. The key is to ensure that it is done for the common good. I found the article thought provoking and it would be interesting to see how other technologies will be used for military gain. An obvious candidate would be AI. I’m worried about the repercussions of this technology going too far. You can never be too careful. When has technology ever halted in response to its ethical implications? It seems to me that the military application of VR is merely a continuation of this trend. Take automated warfare, for example. At the time of its development the concept of killing on such a mass scale raised a multiplicity of ethical concerns. Did it stop its development or use? No, of course not. Little can be developed nowadays that is pure in both intent and application. Social media, commercial drones, even household medicines: nothing in this world is free from negative implications. Moreover, whilst the ethical stance of the designers of such technology must be acknowledged, one must consider that personal and professional goals can outweigh moral ethicality. As with the scientists of the Nazi V-2 and T-4 programs – whilst it is easy to dismiss their contribution as coerced, the reality is that (some) scientists consciously ignored the ethical implications of their work and utilised nazism for the realisation of their own scientific ambitions. I really like this take on it – a very to the point case which captures the reality of what has happened in the past. I can only agree that few things exist in the modern age which are entirely absolved of ethical dilemma. My only concern would be does this necessarily make it right? As we shift into a future where the likes of AI are on the horizon, should we not be making every effort possible, perhaps now more than ever, to seriously consider the implications of technology in these grey areas. I dread of the day when, for example, AI technology developed by scientists is passed on for military use without proper thought and the result is akin to a Terminator film. Perhaps only then do we step back and say we should have listened. It is a slippery slope to assume that it should be acceptable for anything to be applied to a purpose for which it wasn’t originally intended. Designers may choose to avoid industries that are ethically in opposition to their own beliefs. A designer should be consulted if the application of the technology changes and strays into the contentious. Interesting article, as VR is becoming readily available to young people, could this be also be used as a recruitment tool? “Hey, look what we use to train you, isnt that cool?”. As with anything, a designer might have a specific use for a product or service and can think the product has been tested to its limits. It isn’t until it gets to the end user that new uses or new problems can be found. Sometimes good, sometimes bad. If not Microsoft, it will be another company. How do you decide if Microsoft are the right company to do it? What a thought-provoking read showing a clear argument for and against VR headsets. I agree that using this form of technology for military training/development seems inevitable. Therefore, it is important that ethical and secure guidelines are set out by Microsoft to restrict the public’s accessibility to such software. This is an interesting and thought-provoking article. I think you have covered a diverse range of issues raised by this technology and drawn a range of appropriate comparisons. The application of deontological theory and utilitarianism is a good framework for addressing such issues. I think there a number of other nascent areas such as AI technology which would benefit from such ethical discussions. Additional to your ideas I think it is important to consider the magnitude of the effect of the technology. I agree it has the potential to effect more civilians than military personnel but may have a greater impact on reducing risk to this small population in the military than the slightly increased risk attributed to the general population. This factor is missed with a utilitarian approach. It was interesting to read about the probable inevitability of technological advance. I would like to know whose responsibility you think it is to determine how VR technology should be used in the future? Does there need to be regulation on which companies can invest in military application? Really enjoyed this article. Due to the seamlessly huge benefits of VR in current warfare it’s clear the military will continue to utilise and advance this technology indefinitely. Whether Microsoft aids them to, on the other hand, will be interesting to find out. I found this article very challenging as both sides of the argument have very valid points. However, in my opinion the workforce at Microsoft must have foreseen this technology being used elsewhere and not just for video games etc. It was inevitable that this technology would be used across various platforms. If the technology is available and there is a place for it to be utilised in other areas, for example warfare, then it should be. Look at what happened to nuclear energy when the military invested in that. There may be significant drawbacks which need to be thoroughly thought through but nuclear power now supplies 11% of the worlds electricity. 30% of all low carbon power. There’s ethical downsides but the technology could be amazing! I agree that it’s probably inevitable that VR will be used by the military. Therefore I think it’s more a question of what limits we can and need to impose on the use of this technology. A well balanced article looking at the pros and cons of VR technology and how it can be utilised by the military. It’s a technology that will be developed at some point by some company and it will need to be the responsibility of all users that it is used ethically. This is a very good article, bringing up several points I hadn’t considered before. It’s so engaging I’m loathe to continue without engaging with a few thoughts hinted at that go beyond the remit of the article. From the mid 18th century there has been legislation to account for conscientious objectors to the army, and it has even been declared a human right by the UN. Governments don’t make their strategic decisions based upon the opinions of conscientious objectors. Therefore, the responsibility of the government they are working for is what engineers (conscientious objectors aside) must evaluate when working on technology used in warfare. I particularly like your “consent of the designer” argument, as this also strikes to the heart of one of a government’s other duties, the enforcement of property rights. However, it is well established that the government has the power of compulsory purchase, but must provide correct recompense, according the the market value, to the original property owner. The original property owner does not retain any rights over what the government does with this property once it is theirs. In the same manner, the designer, once his designs have been purchased, has no control over their use. A contract allowing for only some uses would help, but the government has the authority to purchase the design wholesale for an appropriate price anyway. With intellectual property, the only way to stop it being used for warfare is therefore to abstain from inventing it. The only possible response that results in no new technology being used for warfare is to invent nothing that could possibly have a use in warfare. Your last point is relevant here, that not only does tech get co-opted into war, but war-tech gets co-opted into civilian life. The supporting analogy for your penultimate point, “Can we really resist technological advances” is made weaker for this purpose since the drones sold were knock-offs, and so relied upon the American and British designs in the first place, but the point could simply be restated with unconnected but less relevant (to the tech angle of the article) military hardware. I especially liked your comments on the V2 rocket program, the inevitably of advances by rival companies, and the benefits of military advances. Great read – the article is very informative for someone like myself who lacks much knowledge on the topic. Both sides to the issue have been presented clearly without any bias. Obviously we cannot predict how far the technology will progress over the next few years. Despite this, has there been any published research into VR’s security in regards to hackers? An interesting article that clearly highlights the advantages of VR to the military while posing some ethical concerns of the developers that I had not previously considered. Furthering the Utilitarianism approach of people gaining benefit from the VR profits, Microsoft donated $650 billion to non-profit organisations in 2016. By gaining more profit from these VR contracts, they would continue committing some of this profit back to charitable organisations, something which may not happen if a company with a far less astute awareness of social responsibility were to take on the contracts. My concern for replacing standard training with too much VR training would be the blurring of lines between reality and the ‘game’. Currently, during their training soldiers are made very aware that there actions have consequences for other humans. That what they are firing at is another human. By replacing such training with a VR system may distance the soldiers from that ethical decision. This was an extremely interesting article, I particularly liked the example of Chinese companies replicating the US drone technology. It seems inevitable that the military will use VR technology to increase the lethality of its armed forces, considering that the MoD has announced that it will use “swarm squadrons” of drones in the field. One point that I might add is that with the current world environment that is pitting Washington against Beijing, both sides will be making technological advancements for their military and that means producing VR technology for military use. Huawei, a similar-sized company to Microsoft in terms of its spending power and its R&D, has links to the Chinese state and already has its VR headsets on the market and, most likely, will already be producing equipment for the PLA. It is, therefore, important for the US military to do the same and to keep their comparative advantage and that means ensuring that a company like Microsoft is at the head of its military’s VR research program, due to the resources at its disposal. In an increasingly unstable international environment the US government, and the UK’s for that matter, need the services of companies such as Microsoft to ensure that their armed forces are properly equipped to deal with any future conflicts. Therefore, I agree with the group’s argument and decision regarding the use of VR technology in the military despite the protests of a few engineers. It’s extremely interesting to see that the ethical dilemmas people face with the advancement of technology are not a thing of the past. It’s encouraging to know that perhaps we haven’t all lost ourselves to the greed of money making motives. Technology has been, is, and always will be used for morally questionable purposes; even if its initial designers did not intend its primary purpose to be so. Although not fully knowledgable in this field, assuming that the advancement of VR isn’t the only ethically questionable thing Microsoft has found itself a part of would be far from unreasonable. My question would be are the employees simply refusing to be a part of this deal because it’s consequences are obviously linked back to them or is it because they believe that the deal is in itself ethically wrong. The matter of consent may only now be an issue because employees are clearly linked to the harmful consequences of this new technological advancement if they agree. Previous work that they may have worked on has perhaps not been so damming, or its consequences have not been outrightly linked back to the designers. I question whether it’s the association with such a harmful outcome that warrants the designers to withhold consent. Or is it the idea that this new advancement has and will continue to be the cost of lots of lives? Are their motives driven by self protection or the protection of others? If exploring the field of ethics, the motives of the designers in choosing to or refusing to consent would be an interesting topic of exploration. VR has huge benefits in the medical sector and based on history military funding has caused technologies to enter into the medical sector. The moral aspect of VR are very complicated but my view is weather It is being ultimately used to save lives. V R is a positive thing if it’s used correctly. However more research is needed to establish the impact it will have on those using it. For VR to be useful in warfare applications it will need to be lifelike. If it is lifelike, many users (soldiers) could suffer after effects from its use. I suspect that currently, a very low percentage of soldiers kill someone in direct combat. Senior Microsoft management will not be in a position to fairly assess the appropriateness of their company selling such software as many of them will have short-term financial incentives. extremely interesting article,my thouhts are that using vr as a training tool will only account for the users reflexers / response time to game conditions , like most other games ,and will only partly help for real combat experience.